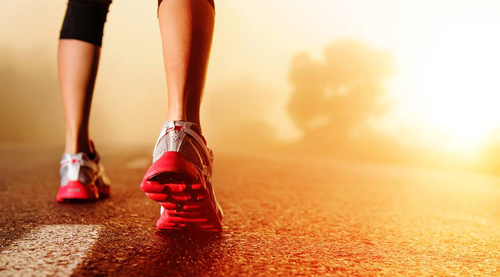 I am always looking for new recipe ideas for healthy snacks to make my family. Rarely do I buy granola bars or muffins in a store as they are usually full of fat and high in sugar! I like knowing what ingredients are in my food and I like to control what food I give my family! 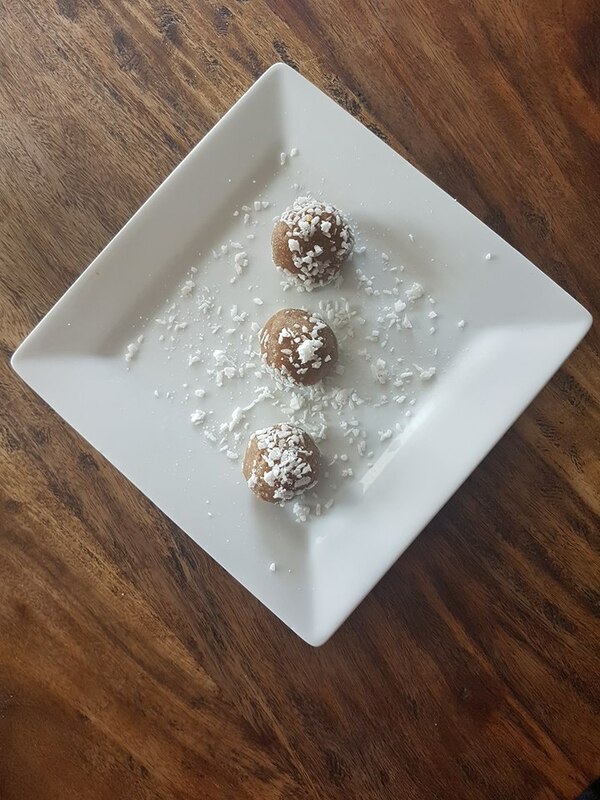 One thing that I love making is Energy Balls. 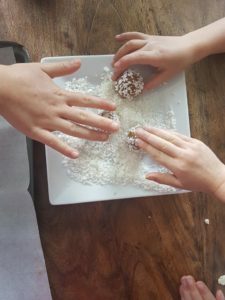 They are quick, easy, delicious and usually kid approved! 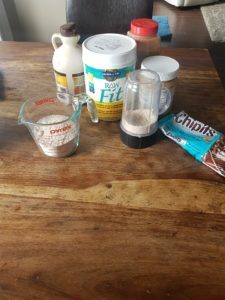 I have a bit of a sweet tooth, and like to make homemade snacks that will help me with my 3pm sugar cravings! I’m always looking for new ideas and asking clients what are their secret recipes they make at home. The other day a client of mine told me about Sea Salt Caramel Chips. She adds them to her energy balls for the sweetness factor. So away I went to the store to find them … and boy they didn’t disappoint! 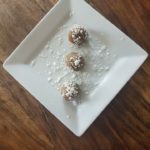 I am a huge caramel fan and I was getting tired of always adding dates to my energy balls to make them a bit sweeter. Yes, they are not as healthy as dates, but everything in moderation! I am also very particular about how I make my energy balls. I like them smooth without having big chunks of nuts, oats, fruit or chocolate in them. So when I invented this recipe the other day … I was super excited about how they turned out and tasted! Add your oats, nut or seed butter , maple syrup, protein powder, cinnamon, sea salt and vanilla bean extract. Grind up your Sea Salt Caramel Chips so it looks like loose powder. I used my magic bullet to do this. 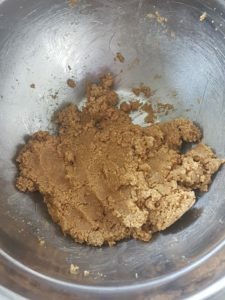 Add the sea salt caramel chip powder to your recipe. 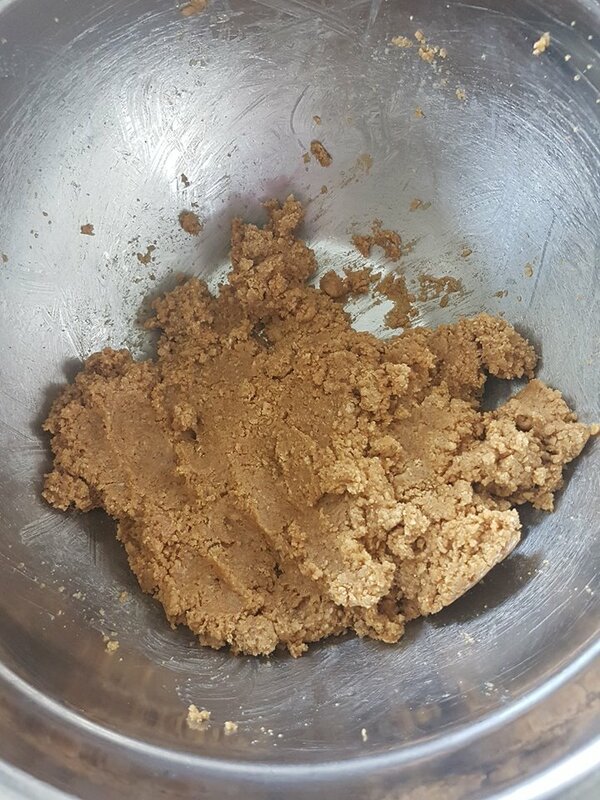 Roll the dough into desired sized balls. 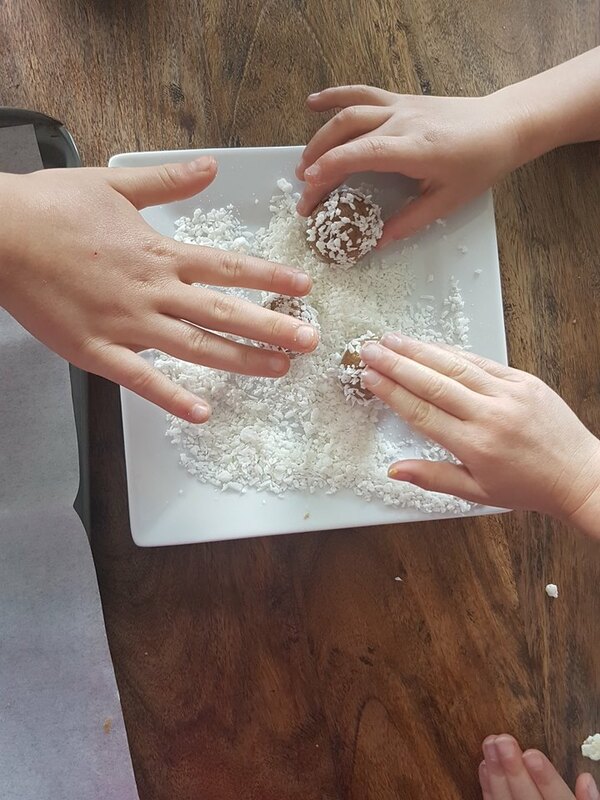 I use a tsp to measure out the dough and roll into smaller size energy balls.